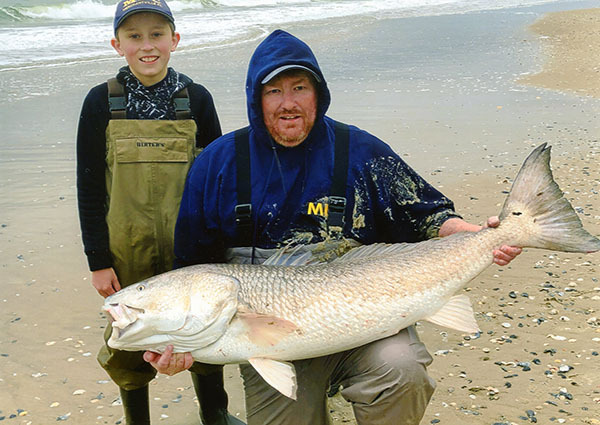 Angler Dylan O’Connell – age 11 – caught and released this 21.99-kilogram (48-pound, 8-ounce) red drum (Sciaenops ocellatus) on December 30, 2018 while fishing from the shore of Ocracoke Island, North Carolina. O’Connell needed 20 minutes to land the potential record redfish after it ate the jig and soft-plastic he was casting. If approved, the catch will become the new Male Junior world record, which currently stands at 16.78 kilograms (37 pounds). 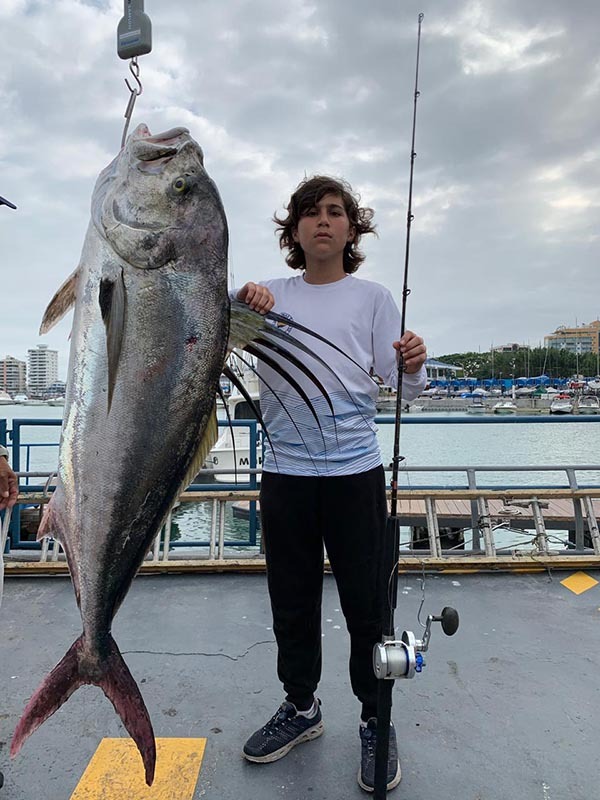 Ecuadorian angler Juan Felipe Adum – age 12 – potentially set the new Male Junior world record for roosterfish (Nematistius pectoralis) on January 5, 2019 while fishing out of Salinas, Ecuador aboard the Makaira. Adum battled the big rooster for 12 minutes after it ate the ballyhoo he was trolling. If approved, Adum’s 37.36-kilogram (82-pounds, 6-ounce) roosterfish would replace the existing record of 32.06 kilograms (70 pounds, 11 ounces). 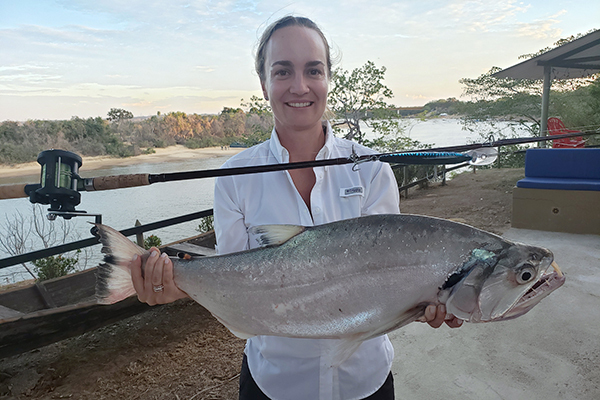 Angler Tiffany Llewellyn potentially set the new women’s 1 kg (2 lb) line class world record for rainbow trout (Oncorhynchus mykiss) with this 1.31-kilogram (2-pound, 14-ounce) fish that she caught while fishing the Kings River in Piedra, California. 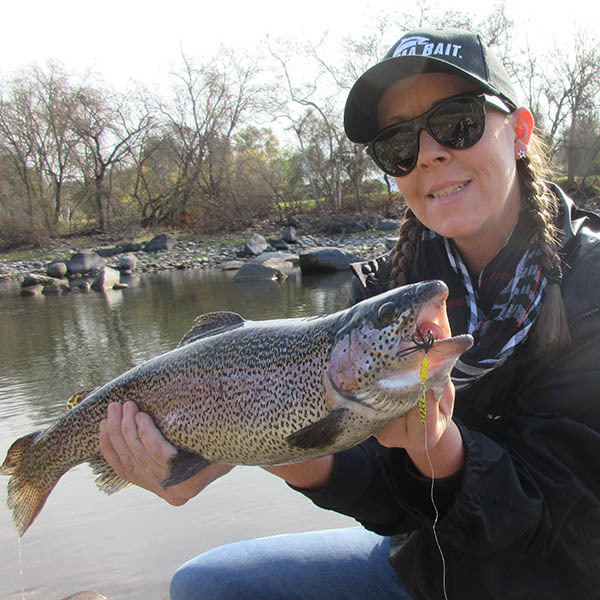 Llewellyn needed only a few minutes to land the potential record rainbow after it ate the Yakima Bait lure she was casting. If approved, the catch will replace the existing record of 1.20 kilograms (2 pounds, 10 ounces). Colombian angler Carolina Uribe Cuentas caught this 5.65-kilogram (12-pound, 7-ounce) payara (Hydrolycus spp.) on January 4, 2019 while fishing the Manacacias River in the Meta Region of Colombia. Cuentas needed five minutes to land the payara after it hit the Rapala lure she was trolling. If approved, the catch will become the new women’s 8 kg (16 lb) line class world record, which currently stands at 5.45 kilograms (12 pounds). 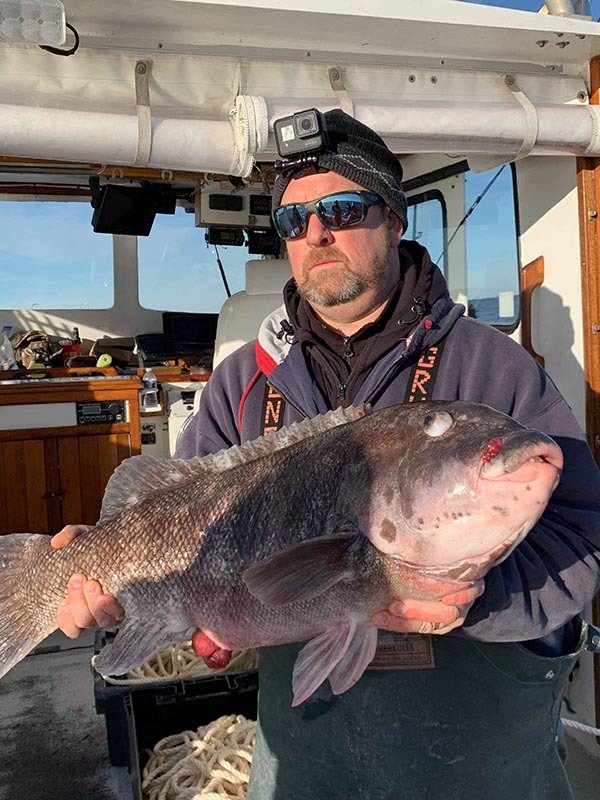 Angler Ken Westerfeld potentially set the new men’s 8 kg (16 lb) line class world record for tautog (Tautoga onitis) with this 7.89-kilogram (17-pound, 6-ounce) fish that he caught on December 19, 2018 while fishing out of Ocean City, Maryland aboard Fish Bound Charters. If approved, the catch will replace the existing record of 7.34 kilograms (16 pounds, 3 ounces).